Starting with the base – I have been loving the Tilbury Wonderglow ever since I had my makeover used as an illuminating primer all over the skin. It smoothes, it brightens and it imparts a gentle glow on the skin which gives the skin a daytime-friendly candlelight glow. It’s not the strongest glow around but it diffuses the skin nicely and is the perfect primer for keeping an even base all day. 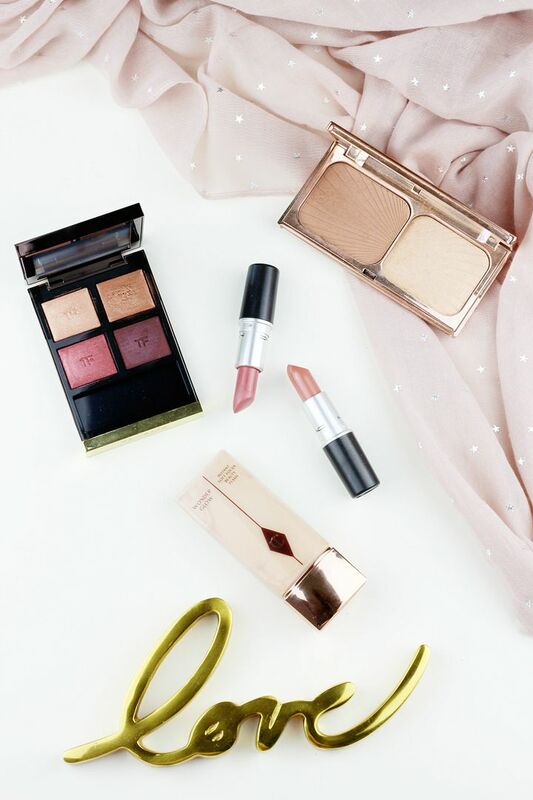 Also from Tilbury is the filmstar bronze and glow which I absolutely cannot get enough of right now! I find the bronze shade the perfect hue for adding a little shadow and definition the cheekbones whilst also delivering a golden glow to the skin. The highlighter shade is all beyond perfection when dusted on to the tops of the cheekbones using a fan brush. For eyes, I have been obsessed with my Tom Ford honeymoon quad – every single shade is exactly my favourite kind of tone and the complementary colours work together for an easy no-fuss look. The top right golden shade is a particular favourite, although I use every single colour in the quad. I know it’s an expensive palette but there’s something so deliciously decadent about Tom Ford palettes and the formula is dreamy. Definitely a pick for adding a little luxury to my morning makeup session. Finally, I’ve been crushing on the two new influencer MAC lipsticks (MACxAlessandra and MACxFleurDeForce) which are both dreamy daytime shades that go with any makeup look but especially with my May makeup edit.